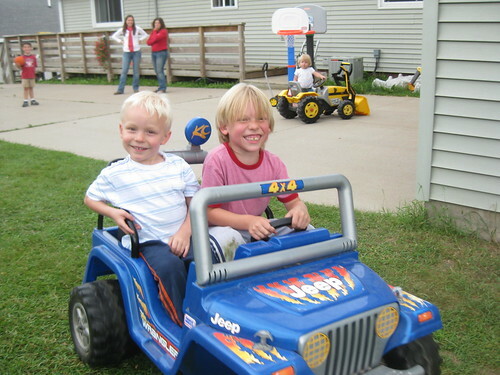 Ollie and Owen are shown riding their cousins’ electric car. 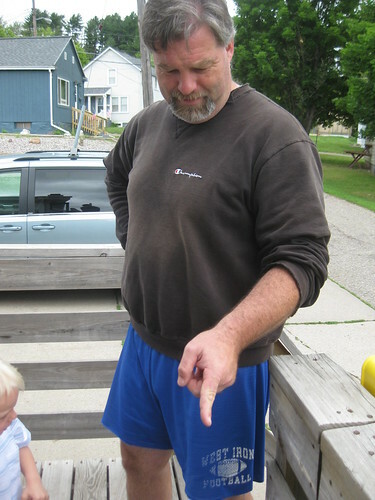 We spent the day at my brother’s house in near by Iron Mountain, Michigan. It is about 40 miles south east of Iron River. They are getting along well with their cousins. We also had the first basketball game as Owen and I took on Jim and Tony. I spent the morning sorting through the year’s financial corresponsdance. I am organizing our credit card statements, bank statements, retirement accounts, taxes, etc. Lots to do. In the afternoon we went to Iron Mountain. Last night we just hung out at the house. Jim's Style Hasn't Changed - Love the shorts!